Are you ready for a weekend of no work, no cases, no Scorpion? 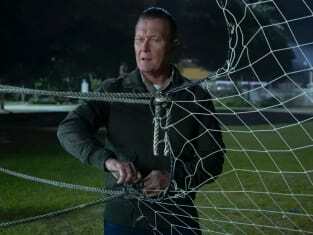 Scorpion Season 4 Episode 14: "Lighthouse of the Rising Sun"
Permalink: Are you ready for a weekend of no work, no cases, no Scorpion? For the last time, I'm fine with your dream. It all happened when you were dying, and Toby told me it wasn't a big deal, so it would be illogical for me to feel anything but okay, right?